Archies Card Factory Fire: The reason for fire in the factory is not known yet. A fire broke out at Archies greeting card factory in the Naraina Industrial area in west Delhi on Thursday morning at around 7:15 am. According to the fire department, the blaze spread rapidly to the top floors. Some 30 fire engines are at the spot. There is no news of any casualty. According to the factory manager, Amarjeet Singh, the telephone switchboard caught fire and the flames spread to other parts of the multi-storey building. Delhi fire in greeting card factory: 29 fire engines have been rushed to the spot. There have been two big fires in the national capital in the last two days. 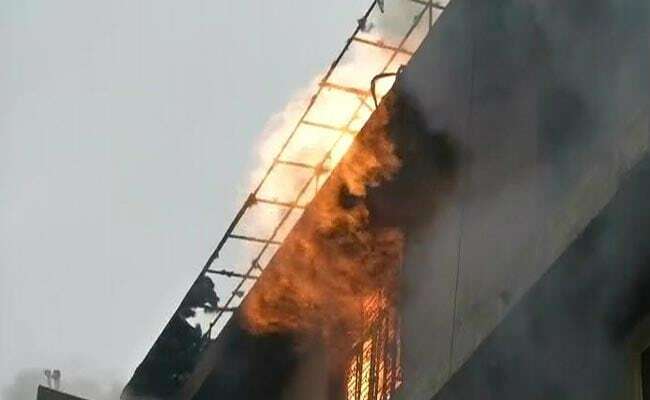 On Tuesday, a massive fire covered Arpit Palace Hotel in congested Karol Bagh area killing 17 people, including two people who jumped off the building in a desperate bid to save themselves. Two men have been arrested.